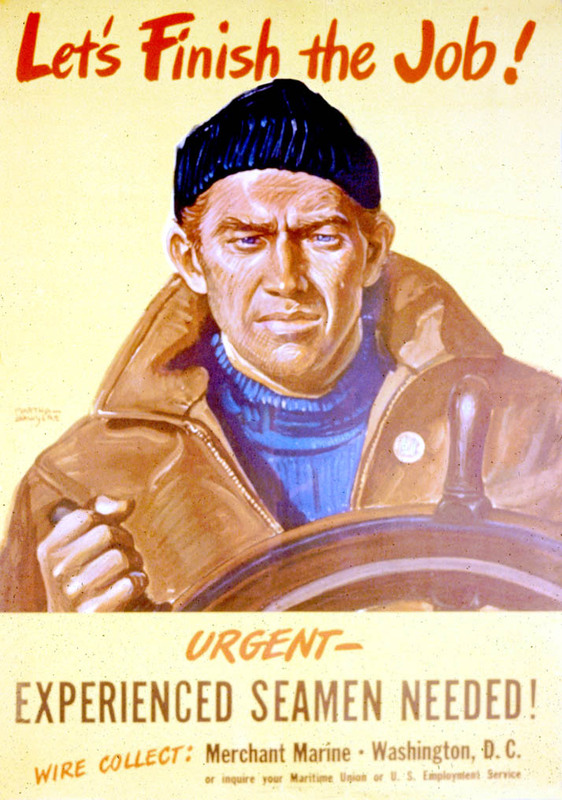 A sailor stands at the wheel. Poster Text: LET'S FINISH THE JOB! / URGENT - / EXPERIENCED SEAMEN NEEDED! / WIRE COLLECT: MERCHANT MARINE, WASHINGTON, D. C. / OR INQUIRE YOUR MARITIME UNION OR U. S. EMPLOYMENT SERVICE.